Central Kansas Dentistry is proud to be one of the leading “Tooth-Conserving” dental offices in Kansas and Dr. Williams is the only dentist in Kansas that is a certified member of the Academy of Biomimetic Dentistry. So what does tooth conservation mean for you? Dr. Williams follows a biomimetic approach to dentistry which by definition means to mimic nature. The best way to do this is by preserving as much of the natural tooth or teeth as possible anytime a procedure is needed. It seems obvious that saving as much of any natural part of your body as possible is the best way to go. Surprisingly, very few dentists in the United States follow this philosophy, and many are still set in the traditional ways of “extension for prevention.” This means they drill further or remove more than is necessary. In many situations, this means damaging perfectly healthy surrounding teeth. Research has recently surfaced that the average white filling lasts 5.7 years. That means every five years that filling needs to be replaced. Now, consider the average lifespan, the average amount of teeth with fillings and watch the hypothetical bills and hours spent having procedures done pile up. At Dr. Williams office, our Biomimetic approach allows for goals of 20-25 years for our work. Tooth conservation means functionality will be better, teeth will be stronger, and everything will last much longer. 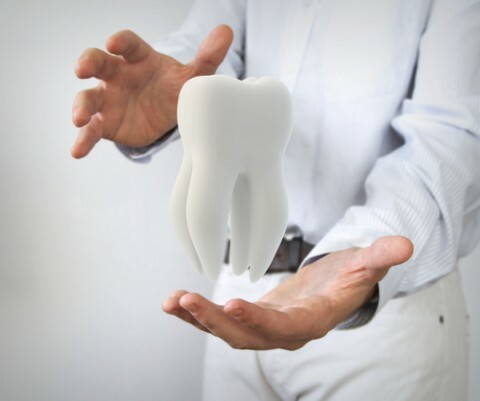 Insurance companies and many dentists think putting a full crown on any tooth with an issue such as a crack or fracture is the only way to go. The way we approach this concern with tooth conserving dentistry at our focus is to take the old filling out and find the crack. We then follow it to the source and only remove the bad part of the tooth. We then restore the tooth from there using the strong, healthy part of the tooth to help us create something that lasts way longer than the crown would have and does much less damage to the tooth. If you are interested in hearing more about Dr. Williams’ philosophy of natural and less invasive care using Biomimetic dentistry, please give our office a call at 758-472-3803.